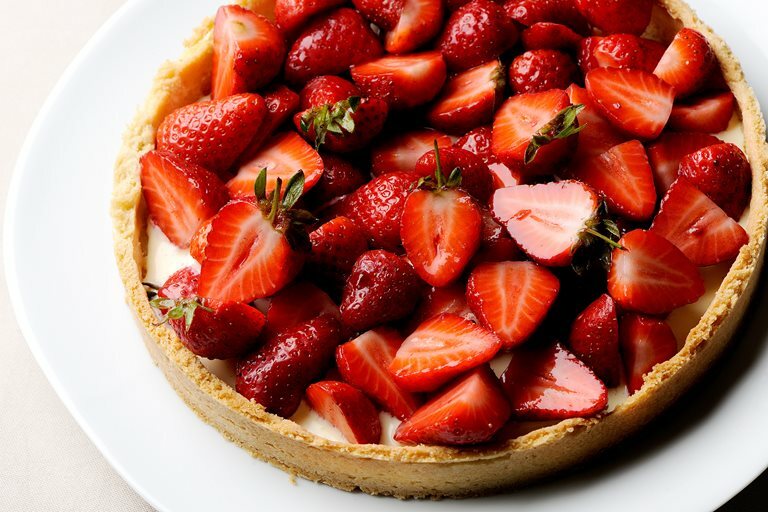 This fabulous strawberry tart recipe makes a great summertime treat. The shortbread pastry is easy to prepare, but it does require 2 hours of resting time, so plan ahead. 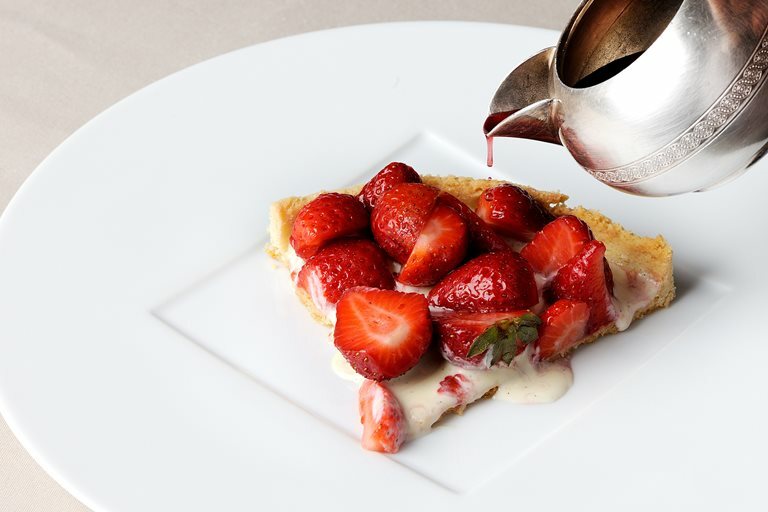 Pascal Aussignac calls for the strawberries to be marinated in rosé wine, adding remarkable flavour to the finished strawberry tart.